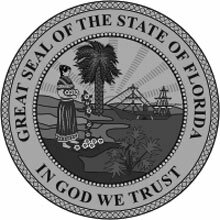 Jobs for qualified game warden officers in Florida remain highly competitive at both the state and federal levels, indicating that only the most able applicants will be successful. Ultimately, to be successful in the field, game wardens should enjoy the outdoors and have a passion for environmental advocacy and the protection of natural resources. Their diverse job duties include more than just enforcing conservation laws. They are responsible for everything from helping with the rescue and rehabilitation of injured animals, to remediation of nuisance animals that threaten hikers and campers, and they are sometimes even called on for search and rescue missions as needed. Game wardens are employed to manage a county or in some instances a larger portion of the state, and as such, the job is both physically and mentally challenging so only the best and brightest need apply. With stiff competition for warden jobs in Florida, many applicants wait for several months at each stage of the selection process and apply across multiple agencies to increase their odds of being hired. It's important to understand the requirements and selection process for each agency, as well as how to showcase your qualifications in order to stand out among the pool of capable candidates. Read more to discover how to maximize your chances of becoming a warden with the Florida Fish and Wildlife Conservation Commission. Florida’s Fish and Wildlife Conservation Commission employs Law Enforcement Officers to manage wildlife and marine conservation and enforcement efforts along Florida's saltwater coastline, as well as its 37 million acres of land and freshwater. These dedicated individuals balance their love of the outdoors with a passion for enforcing conservation laws. As Law Enforcement Officers, Florida’s game wardens are responsible for basic duties that include checking licenses and enforcing hunting regulations, speaking to advocacy groups and schools, as well as offering hunting and boating safety courses. The role of a Law Enforcement Officer in Florida is a challenging one, which means that all applicants must demonstrate they have what it takes to effectively serve the Fish and Wildlife Conservation Commission. License: A valid Florida-issued driver’s license is required. Vision: The applicant must have better than 20/200 vision with both eyes, and corrected to 20/20 with or without corrective lenses or contact lenses. Full, binocular field of vision must be present. Candidates cannot be red/green color blind nor suffer from conditions that result in double vision, lack of depth perception or other disorders that might impact safety or job performance. Physical Readiness: The applicant must successfully complete a physical readiness test showing that he or she is in excellent physical condition.